The Multitronic CVT (Continuously Variable Transmission) Control Module is found fitted to the Audi A4 & Audi A6 between years 2001 – 2005. This does not include the Quattro models, they were fitted with a different module and do not carry the same faults. When this unit becomes faulty, it can store transmission fault codes relating to implausible signals from various sensors or even from the gearshift selector. Other faults can cause problems such as the gear selector lights to light up on the dashboard / instrument cluster and drive-ability issues. In extreme cases, the car will not come out of Park and cannot be driven. For pricing & more information, please email us or call us today on 0844 847 9999. Fitting services also available. Tags : Audi A4 Multitronic Gearbox ECU Problems, Audi A4 Multitronic Gearbox ECU Repairs, Audi A4 Multitronic Transmission ECU Problems - Repairs, Audi A6 Multitronic Gearbox ECU Problems, Audi A6 Multitronic Gearbox ECU Repairs, Audi A6 Multitronic Transmission ECU Problems / Repairs. Unfortunately we don’t list prices on our website so I wouldn’t be able to quote you on our comments board but please call our offices on 0844 847 9999 or alternatively, please email support with your query. We do repair these parts, they are a common failing part and you’ll find we can even beat the price of a second-hand part and offer a Lifetime warranty with all repairs. I have an audi a6 c6 2007 2.0 tdi s line auto and was told that my TCM is going and wanted to find out how much it will cost do i have to give you the old part or i can order 1 from you. We’ve got a few on the shelf and would need a part number from you to quote for the replacement. We can also repair your own unit and again would need a part number and a brief description of the fault you’re having to quote for a repair. It’s always best to send us your old part even when purchasing a replacement so that we can swap the coding over for you, otherwise you would need to pay a local dealer to program it. I have an audi a6 2.0 cvt auto 2002 and enquiring how much you would charge for repair. We’ve sent you an email with pricing and further information. Hi, after doing a search via Google I came across your website and wondered if you could help. I have a Audi A6 1.9 TDI with a CVT/Multitronic box: 01J-927-156-B/GT and TCM: 4B1-910-155B, that is malfunctioning. The symptoms: It pulls away fine but does not increase in speed above 10 mph even though it has revs in excess of 3000rpm and when it finely slows down, and I apply brakes, it stalls and feels as though the clutch is still engaged in drive and shudders. I have had the diagnostics read on the vehicle by two independent mobile mechanics and there are no fault codes relating to the transmission, which is very puzzling, as there is clearly a fault with the gearbox. Could you possibly give me an idea of what is the problem/fault and how much would you charge to put it right. I have a neighbour with a car trailer transporter so am prepared to relay it to you for repair. Our team have sent you an email with full information and pricing on any services we can offer to help you with this particular fault. i HAVE A TCM THAT NEEDS REPAIR. I AM IN BOTSWANA, AFRICA. HOW MUCH CAN IT COST TO DO THE REPAIR. 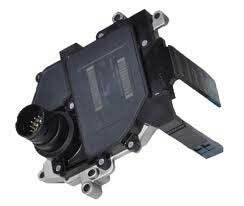 ITS FOR AUDI A4 2001 CODE 01J 927 156 CR. THE CAR IS PRND LIGHT BLINKS AND THE CAR CANT MOVE. Qual o preço por favor, é plug ‘n’ play? Enviei-lhe um e-mail com informações completas e preços.